This book is dedicated to all the people who have no knowledge of medicine and its applications while facing serious or trivial mediccal emergencies. In my twenty years of experience in handling medical emergencies brought me in contact with people who panicked or not knowing how or what to do in medical emergencies, if they had the slightest knowledge of how to intervene in an emergency, it could save their lives. For example, I happened to meet a person suffering from a cardiac arrest and the people there were only crying and despraired without doing anything .If they had known what to do, their timely intervention BLS (basic life support) perhaps would have saved the victim’s life. I also happened to witness another incident where an intervention by a person to save the life of victim of electrocution was also backfired! The rescuer failed to take the necessary precautions while carrying out such dangerous interventions. He too was electrocuted as a result of his lack of knowledge in handling emergencies. 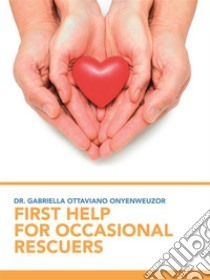 Those of you who will read this book will realize that sometimes, simple maneuvers and interventions are capable of saving the life of victims of accident of any type but because many lack the medical knowledge required to save such lives, the person in questions dies during the time of waiting for emergency handling specialists. be taken care of for free. All those who purchase this book will know that in addition, having a book that will expose them to first aid tratment techinics and build their notion of first aid management and they have in one way or the other helped to build the hospital through the purchase of the book. Thanks for those who will buy the book and thanks also for those who will treated in the hospital, especially the poor.